To illustrate the point in class, right before getting to our discussion of that passage I sternly look at a member of the class as if she had been caught texting or sleeping—hopefully a student that will be a good sport and who won’t hold a grudge—and say with an irritated and authoritative tone: “Britney, please go out into the hall. I’ll be out to talk with you in a minute.” As soon as she leaves, I ask the class, “Do you think Britney would have left if James, sitting behind her, asked her to leave? Of course not. Why did she listen to me then?” The obvious answer is because I’m a “professor,” or that I carry an identity in the classroom with privileges that students don’t have. As Bourdieu suggests, this is an act of “social magic”; because of the identity I carry, it is almost as if I have a magic wand I can use to control student behavior. 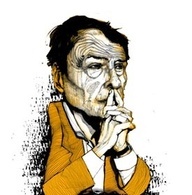 This entry was posted in Craig Martin, Humor, Pedagogy, Religion and Theory, Theory and Method, Uncategorized and tagged Pierre Bourdieu, social magic. Bookmark the permalink. Do you analyze the gendered dynamics of this interchange (i.e., explore the gendered dimensions of social magic)? *That* would make for an interesting discussion. e.g., when is a woman who is a professor a “real” professor? I still get called Mrs. Warne by first years. I presume some of that has to do with my now silvering locks, but I also hear the occasional “Miss! Miss!” as well. Nothing in our social world is ungendered, most especially relations of authority and power.